The Isle of Wight 1969, the Royal Albert Hall 1966, Bournemouth Folk Club 1963, I was there. Well, actually, I wasn’t – but I should have been. Despite the intensity with which Bob Dylan’s songs have been running round inside my head from the very beginning, I was compelled to avoid seeing the man real and live in concert for many years. Now, some thirty five years later, I’ve joined the ranks of specialist newsletter readership and the illicit concert CD collectors. I’ve rattled on the overnight bus across Europe for three consecutive nights of gigs, and contacted the Dylan telephone hotlines more often than my own family. Sad maybe, but this is recent. It was not always so. My first acquaintance with Dylan came at school when I was 17. There was a new guy in my class who had transferred in from elsewhere. Wealthy, he had access to a car and an air of studied coolness. But his attempts to ingratiate himself into our group left me cold. Somehow, though, in our provincial little town, he seemed to have access to a wider knowledge of the world and one day he pulled a record album from his bag and asked if anybody would like a lift up the coast to see a concert at the Bournemouth folk club. ‘This guy’s really groovy, you’ve got to hear him’ he said, in a vernacular that did not then feel entirely ludicrous. I tried to imagine sharing the journey with him, the phoney conversation, the absurd notion that any tastes of his could echo mine. So I looked into the face on that first album cover, that baby face propped up by fear, sneer, or whatever it was, and said ‘I wouldn’t bother going out of my way to see somebody who looks like that’. The second time I heard Dylan’s name, the effect was also extreme, though in a very different way. Although British commercial television was still relatively new, the hour–long variety show, Sunday Night at the London Palladium, was already a national institution. The finale that particular evening was the current hot act, Peter, Paul and Mary. What little popular music was then televised I usually watched with my dad, who would criticise one group for its rhythm and another for the singer’s diction. After the first song, and before a verdict was properly formed, Mary Travers, wholesomely bohemian on our black and white television screen, stepped to the microphone and in solemn tones said something like ‘There is a young man in America today writing songs that are touching the heart of a nation. His name is Bob Dylan and this next song is called ‘Blowing in the Wind’’. And my world changed. I was pulled across mountains and oceans by the emotion in the words and melody, and by its audacious originality. In the electric silence afterwards, no judgement could be voiced. Everything had changed. I had been forced onto a new and unanticipated track, there was no going back. Almost immediately, it dawned on me that I had thrown away the opportunity to see, and probably meet, this young songwriter. And that may have been the beginning of my reluctance to acknowledge the source of this much power as merely flesh and blood. But I had a language now. Shortcutting home from school for lunch through the cemetery, I regaled my friend Rob: ‘It’s like a conversation. He doesn’t want a present, he just wants her to come back. When she says she isn’t coming back, then he asks for these boots’. But Dylan made the story overflow with cascading words and pictures: the deepest ocean, diamonds, Western winds, stars, a letter, a lonesome day. Boots of Spanish leather. A year or so earlier, we’d hurried home at lunchtime through that same cemetery, fear strangling the conversation about Kennedy’s ultimatum and the American blockade of Cuba. That morning, we had stood in the school assembly, the silence unbreakable, rigid and still and desperate for someone to take it all away. The same old hymns, the same old prayers, school football team results, netball teams, the Russian missile ships determined and straight on course, and those teachers unmasked, as impotent as us. And now we were trying to get back home in time to be together. My father would also be hurrying home from the bus stop, my mother in a steam-driven panic of preparation, my brother quiet in the living room. The clock ticking, the stages of the nuclear alert, two minutes to Armageddon’s midnight. Striving to be together but still completely alone. But at least I had a language: “Masters of War,” “With God on Our Side,” “When the Ship Comes In,” “Only a Pawn in Their Game,” “A Hard Rain’s A-Gonna Fall.” Wave upon wave that could indeed drown out a whole world, make it clean and lay strong safe foundations. This piece is in some ways more of an 'outlier' from the central themes of the book. 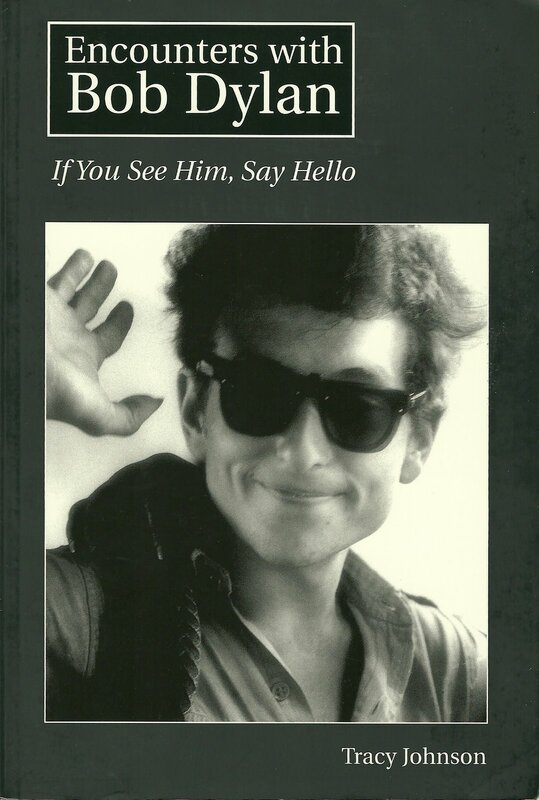 But I had had an ambition for a long time to publish a piece on Bob Dylan and when I saw a request for contributions to the book 'Encounters with Bob Dylan' I saw a possible opportunity (my 'encounter' is a virtual one on Bournemouth beach in 1997). The book is, in my opinion, a bit of a mixed bag, and I don't like the 'obsessional' tone of one or two of the pieces. But then, by contrast, there are fetching accounts such as that by a woman describing her elderly parents meeting an utterly charming BD in the very small departure lounge of Newfoundland airport in 1997. He apparently asked somewhat incredulously whether they were at his show -'You look as old as me'. The whole tone of my piece is an appeal to leave alone an artist like Dylan and not to hound or pester him. But as the book was about encounters, some of them doggedly pursued, my original title and a section of the text advancing this view, was changed. However, Jon Sievert, the ownner of humble press described it, with Californian zeal as 'the perfect capper', which translated apparently means it would fit nicely as the final chapter in the book.